Mums have one of the hardest jobs in the world, and sometimes they just need a little time for themselves to relax and unwind. To do that they will need a secret supply of goodies, whether that be chocolate, a favourite film, or any other special item for that all important 'me time'. 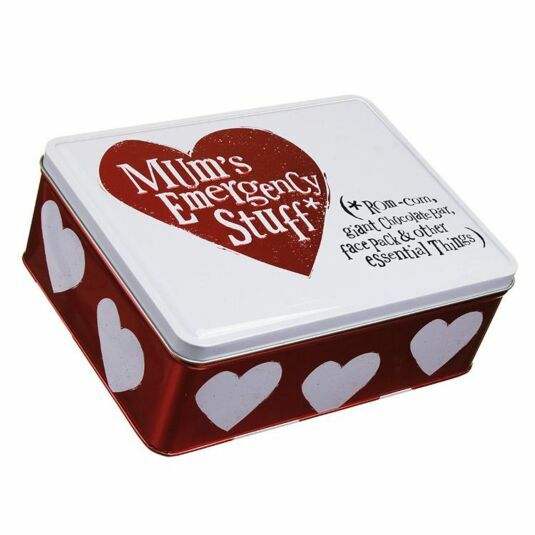 This handy storage tin from The Bright Side features embossed lettering in the distinctive Bright Side type face, in a stylish shimmering effect red heart with a white frame and is the perfect place to store all the little luxuries away from prying eyes. The lid is attached to the tin on hinges at the rear, meaning you won't "misplace" it, ensuring everything stays safe and sound inside. The border of the tin is red with white dainty white hearts. 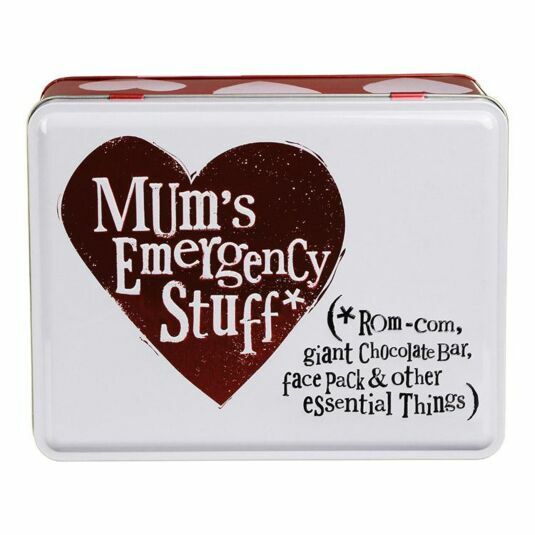 Front of the tin reads: "Mum’s Emergency Tin*(*Rom-com, giant chocolate bar, face pack & stuff) and "SHhh... mummy Recharging" is printed on the bottom.